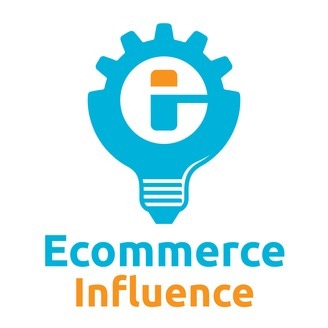 Ecommerce Influence is a podcast for the ecommerce business owner and online marketing executive. We have candid conversations with masters of ecommerce marketing and branding, and provide training and strategies to that help you convert more of your visitors to paying customers. Topics include lead capture, email marketing, shopping cart abandonment, conversion rate optimization, business automation, analytics and more. 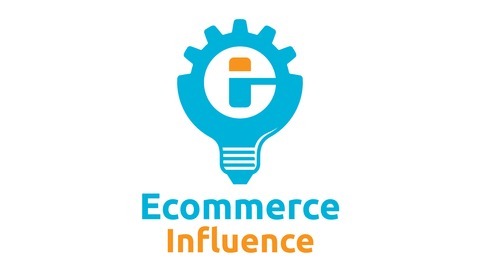 Learn more at EcommerceInfluence.com. Running one company can be a challenge. But what about running 12? Our guest today is doing just that. Ecommerce investor Shakil Prasla of Pro Click Ventures joins us to talk about how he built his portfolio of ecommerce businesses. He shares what he looks for when acquiring new companies, how to hire CEOs, and what’s possible on the acquisition side of ecommerce. 4:38 Shakil Prasla's background and how he got started in the ecommerce space. 7:54 From website builder to ecommerce investor. 9:57 How Shakil structured his 12 businesses and how they operate together. 12:47 SEO and content: the importance of these when considering acquisition and future growth. 16:39 Income and age of company: Why these two criteria are essential in evaluating a company to see if it’s worth buying. 18:22 How Shakil is able to productively manage 12 businesses at once and the apps that help him to be more efficient. 22:42 Shakil’s experience with buying companies with a bank loan and how to go about financing a loan. 227:35 How Shakil gives his businesses a competitive advantage: through the lens of an investor. 30:02 What Shakil looks for when hiring managers and CEOs. 33:43 The incentive structure for the CEOs of Shakil’s businesses, and what he does if they quit. 36:54 The other factors Shakil looks for when determining whether a company is a good buy. 41:07 The advice Shakil would have given himself when he was just starting out. 42:26 Shakil’s biggest mistake when buying a business. 43:41 Shakil's structure for reviewing prospective companies, and how many actually make it to the due diligence process. 46:12 Why Shakil doesn’t believe you need to focus on one thing at a time to be successful. If you've been a podcast listener for a while and you've yet to join the Brand Growth Experts Membership, now is the time to do it. It's my online coaching community and it's an incredible resource for you. We've got about 120 members, all ecommerce business owners and marketers. And in that community, I work with you one on one to help scale up your business. That could be scaling up advertising, hiring a team, or diving into marketing strategy. We go really in depth every single month on topics that we also talk about on the podcast. So, if you've enjoyed the podcast, you're going to love the Brand Growth Experts Membership. Head over to brandgrowthexperts.com and you can learn some more information. Can't wait to see you guys on the inside. If you’re looking to grow your business, there’s only one way. By building real, quality customer relationships. Most marketing software will claim that they do this, but they’ll never deliver on those promises. Klaviyo, though, is different. Klaviyo helps you build meaningful customer relationships by listening to and understanding cues from your customers, which allows you to easily turn that information into valuable marketing messages that’ll help grow your business and make more money. That’s why over 10,000 innovative brands have switched to Klaviyo. If you aren’t already a customer, head over to www.ecommerceinfluence.com/klaviyo and you’ll get a free trial + priority on-boarding.